Gardening is a wonderful pastime that provides a bounty of benefits, including stress relief, fresh air and exercise – not to mention the sense of satisfaction that comes from picking and eating the fruits of your labour! However, growing your own garden can be daunting if you’ve never dug your hands in soil before. As with any project, the first step is to plan ahead before taking action. 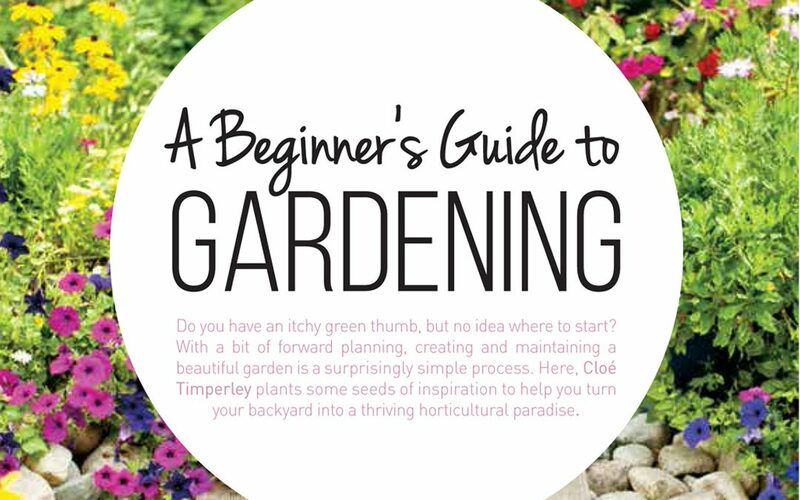 With gardening, this includes plotting out the most suitable spaces in your backyard, choosing plants, herbs or flowers that are appropriate for your climate, and investing in an arsenal of tools that will ensure your plantings flourish. 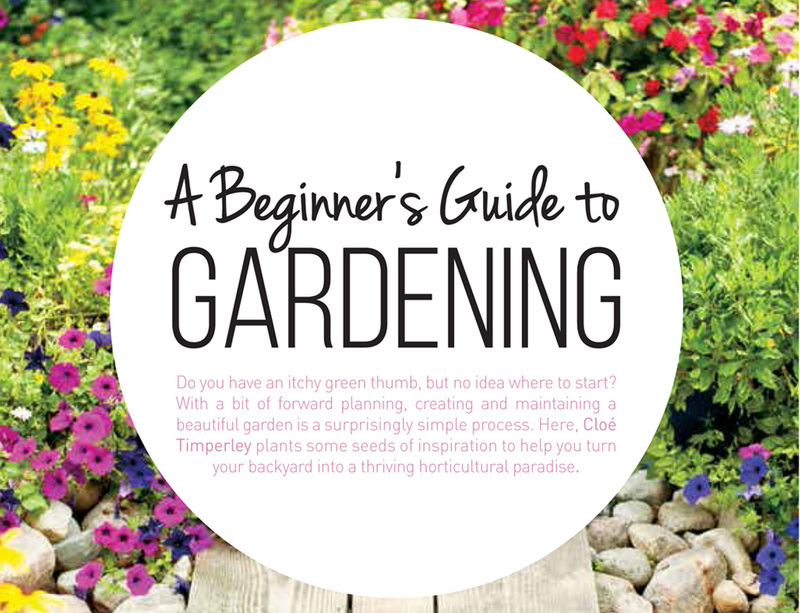 To help you get started growing your first garden, Western Australia Home + Outdoor Design has compiled a handy guide of key tips, clever tricks and helpful pointers. While there are tonnes of gardening gizmos and gadgets available, you only need a few basic tools to get started. 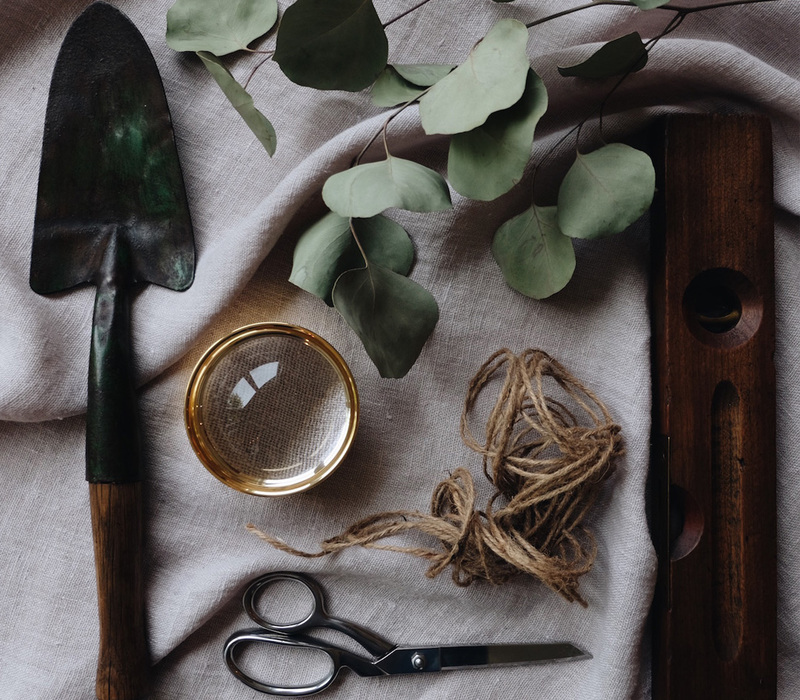 To create a garden that’s perfectly tilled and trimmed, you will need to make a beeline for your local hardware store and invest in the following crucial gardening utensils. a pruner that can cut cleanly through stems, with an ergonomic design that won’t cause hand cramps. A hand trowel is perfect for digging small holes and can be easily manoeuvred in a confined area. Ideal for scooping soil, mulch or fertiliser, your hand trowel should feature a hefty forgedsteel blade that’s securely attached to a solid wooden handle. A soil rake is essential for preparing the earth before you start planting. Your rake should have a solid metal head with a row of sharp teeth, which will help level the soil in your garden bed. 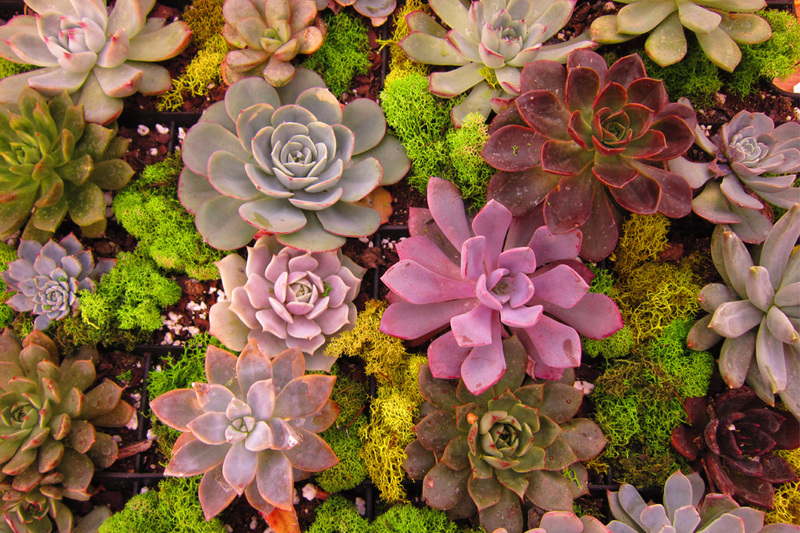 Your plants need care and watering, especially during summer. While a common garden hose will do the job, a watering can allows you to mix and dispense liquid fertiliser as you go. Opt for a style made from rust-resistant galvanised steel for long-lasting performance. Once you’re adequately armed with your trusty gardening accoutrements, you will need to decide what kind of garden you want to grow. Will it be a rainbow-coloured flower bed or a bountiful veggie patch? Whatever you choose, it’s wise to start off with some hardy, easy-to-grow varieties on which to cut your teeth. Yielding edible results, a herb garden is a highly rewarding project for novice gardeners. Herb gardens don’t require a large amount of space, and are a great way to get a taste for growing your own produce. Rosemary and basil are some of the easiest herbs to grow, while chives, sage and mint are also popular backyard options. 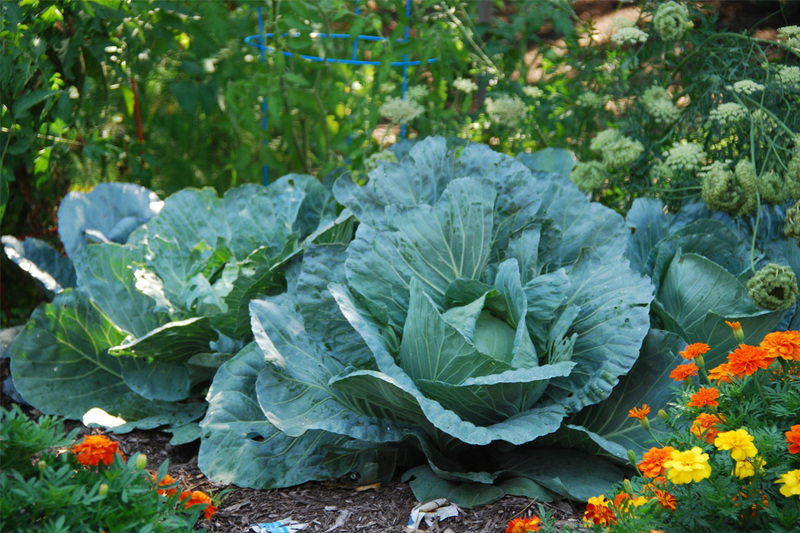 Starting a backyard veggie patch is a great way to save money on groceries, and in many cases the flavour and texture of home-grown vegetables far exceed that of supermarket produce. Tomatoes, zucchini and squash are high-yield options that provide multiple harvests throughout the season, which ensures you’ll never go hungry as long as your veggie patch is prospering. Nothing makes for a more appealing outdoor space than a cheerful flower bed that’s brimming with colour and fragrance. Opt for undemanding and colourful varieties such as sunflowers, marigolds, pansies and snapdragons, which will turn your backyard into a botanical oasis. plants, it’s as simple as transferring them straight into a hole in the earth – no elbow grease required! your finger into the soil – if it’s dry, give them a drink. Water the roots rather than the leaves, and try to do your watering early in the morning to minimise evaporation. Weeds will compete for resources with your plants, so you’ll need to eradicate them as soon as they appear. To prevent weeds from taking over your garden, spread a thick layer of high-quality mulch over the soil and around the plants. flowers and stems. Yellowed or browning leaves will not turn green again, so clip those off, too. If you keep up with regular maintenance and give your plants the proper TLC when required, your garden is guaranteed to love you in return. As with most projects, you won’t see results straight away. However, if you’re willing to invest a little time, effort and energy into nurturing your new garden, it won’t be long before it thrives, and you’ll soon be enjoying the hard-earned fruits, veggies and flowers of your labour.